Google Accelerated Mobile Pages (AMP) and Facebook Instant Articles are two cutting-edge web technologies released in 2015 that rapidly increase the load times of mobile pages. They are both fresh off the press, but already we can see that Facebook Instant is growing, while Google AMP is exploding in popularity. Why is this? You would expect that Google – the undisputed king of the world wide web – knows what it’s doing when it comes to webpages. Google has invented its own new form of webpage that uses every trick in the book of load-time optimisation. Whereas Instant is more basic, and its benefits are more limited to the Facebook website. Google AMP pages currently account for 7% of all internet traffic (Source). That means that 7% of all webpages that you view are likely to be AMP pages already. Most of these are the big article publishers online like the New York Times. Many of these large companies have already gone full force into adopting AMP. Meanwhile, Facebook Instant Articles has its own impressive stats. 1/3 of articles opened from Facebook are Instant Articles. You can see big newspaper and article companies adopting this technology also, because it helps them rank on this social media site. However, Facebook has never published stats on its total web traffic, so you can assume that it doesn’t rival AMP’s enormous presence. The reason is that Instant Articles hold large weight on this social media site, but not elsewhere on the web. If you are a big article publisher, you will want to have both an Instant Article version and an AMP version of each article. This will optimise you for both platforms. 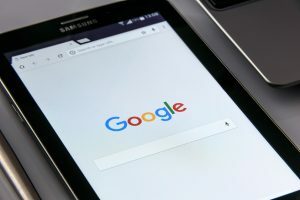 But, when it comes down to it, the AMP article will get more pageviews because Google Search is a far higher traffic source than Facebook Newsfeed. Facebook Instant Articles have impressive stats on Facebook ("shared 30 percent more often than mobile web articles, load 10x more quickly, and are 70 percent less likely to be abandoned." (Source)). However, this Instant page is entirely contained within Facebook and doesn’t work outside it. Therefore, the gains are only worth it for the big companies to which Instant seems to be tailored. Both technologies have a similar concept at the most basic level. Facebook and Google traditionally provide outbound links to other pages. However, since 2015 they made a shift to holding the content no their own systems. So, in Instant and AMP, you never leave Facebook or Google to view the pages. This speeds up load times, because these big web services hold a lot of the page in their ‘cache’, and use this to basically have a lot of the page ‘pre-loaded’, so the viewer doesn’t have to wait for it to load. But Google takes this further…. Furthermore, you must specify all the dimensions of your HTML elements so that Google knows exactly how to lay the page out before it loads. Then flash! All the content loads all at once, without the viewer having to sit there, watching the content load on top of each other, calculating and recalculating as it goes. Finally, Google AMP includes a script that implements many many other load-time optimisations. It’s like hiring a web development specialist to optimise your load times using all the tricks in the book, except it’s as simple as linking to the script in the code of your page. So that explains it: Facebook Instant is beneficial for Facebook content, but is too burdensome for small to medium-sized businesses to implement. Google AMP increases the load-times of your webpages across the web on mobile devices, so is very worthwhile for a business to implement.